1.11 How to prepare SBI PO in 50 Days? State Bank of India has released SBI PO Notification for the recruitment of probationary officers through sbi careers. Candidates who are willing to apply for SBI Bank jobs can check the eligibility criteria for sbi PO Exam 2017. The SBI Probationary Officer examination is held in two phases. Preliminary and Mains Exam. The SBI PO 2017 Notification pdf includes eligibility criteria, application form, fee, exam dates, admit card, exam centers, etc. Candidates have to check the notification details as soon as possible and apply online for SBI Jobs before the last date. SBI is a multinational public sector banking and financial services company. It is a government owned corporation. The headquarters of SBI are located in Mumbai, Maharashtra. Recently, State Bank of India has merged the five of its associate banks i.e, State Bank of Bikaner & Jaipur, State Bank of Hyderabad, state Bank of Mysore, State Bank of Patiala and state Bank of Travancore. The starting basic pay scale is Rs. 27,620/- (with four advanced increments) in the scale of Rs. 23700-980/7-30560-1145/2-32850-1310/7-42020 is applicable to Junior Management Grade Scale-I. The probationary officers will be on probation for a period of 2 years during the period which the officials will provide the intensive training. At the end of the probation/training period, they have to attend the screening test/process. Candidates who will achieve the predetermined standards are confirmed and placed in the next higher grade i.e, Officer Middle Management Grade Scale-II. Candidates who have qualified the test but failed to achieve the standards set for Middle Management Grade-II are confirmed as Office Junior Management Grade Scale-I. The officers who failed to achieve the standards are terminated from the process. SBI Banks provides the immense opportunities for the growth of officers in the bank such as opportunities for posting abroad, etc. The promotion policy of the SBI bank provides a chance to the brilliant officers to reach the top management grade in a quick time. SBI Bank may arrange pre-examination training at various centers for SC/ST/Religious minority Community candidates as per the guidelines issued by the government of India. Candidates of these categories who desire to avail of such training at their own cost can utilize this chance by applying through online SBI. The list of SBI PO Training centers is tabulated above. Candidates opting the pre-examination center have to download the SBI PO Pre-Examination training Call Letter 2017 by entering the online SBI Login and password. The officials will not send the hard copy of the SBI PO Call Letter for Pre Exam training through a post. Candidates who have appeared for the maximum number of chances are not eligible for SBI PO 2017 Apply Online. Appearing in the Prelims Exams is not counted as a chance in SBI Exams. 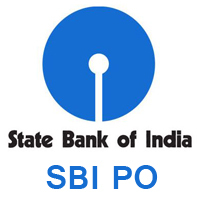 State Bank of India has announced the SBI PO Notification 2017 pdf through online SBI website. Candidates who are willing to start their career in SBI Jobs can utilize this golden opportunity and check the SBI Notification 2017 details carefully. Aspirants who have completed their graduation are eligible for SBI Careers 2017. The officials have also invited the applicants to fill the application form through online mode. Candidates have to check the SBI Recruitment 2017 Notification details such as eligibility, online application, application fee, exam pattern, issuance of call letters, etc through the below sections. Candidates have to satisfy the State Bank Of India Eligibility Criteria before going to fill the SBI Online Application Form 2017. So, read the eligibility details carefully. Candidates must have completed the graduation or any equivalent in any discipline from any recognized university. Aspirants who are appearing for the final year/semester of the graduation are also eligible for SBI PO Apply Online. The State Bank of India PO Age limit of the candidates applying for SBI Probationary Officers Exam is as follows. Eligible candidates who aspire to join in state Bank of India as a probationary officer need to register through sbi.co.in for the SBI Online Recruitment 2017. Candidates have to SBI PO 2017 Apply Online from 7th February to 6th March 2017. No other mode of SBI PO 2017 Online Application Form is accepted by the officials. Candidates have to register themselves through Online SBI website www.sbi.co.in. After the completion of the filling the State Bank of India PO Application Form 2017, candidates have to pay the application fee. How to fill SBI PO Recruitment 2017 Online Application Form? Candidates should scan their recent passport size photograph and signature before logging through SBI Online. Click on “Current openings” tab. Search for “SBI PO 2017 Online Apply” link. Fill the SBI PO Online Application form carefully with all the details. After clicking on the submit button, a provisional registration number and password are generated on the computer screen. Note down the SBI Online Login details such as registration number, password, etc for future reference. SBI Fee payment can be done through credit/debit card/net banking. On successful completion of the transaction, e-receipt and application form will be generated. SBI Probationary Officer Exam Pattern 2017 (Preliminary & Mains) is as follows. SBI PO Exam is of objective type. State Bank of India PO Exam is conducted for 100 Marks. SBI Probationary Officer Exam is of online mode. The SBI PO Exam Paper consists of 3 sections. There is negative marking for wrong answers. 0.25 of the mark is deducted for each wrong answers. The duration of the SBI Exam is 1 hour. State Bank of India Mains Examination consists of both objective and descriptive type. The objective test is for 200 marks and descriptive test for 50 marks. The objective test is for 3 hours consisting of 4 sections. The objective & descriptive type SBI PO Exam is conducted in online mode. After the completion of the objective test, immediately the descriptive test paper will appear on the computer screen. Candidates have to answer for the descriptive paper by typing on the computer. The duration of the descriptive test is 30 minutes. The descriptive test is conducted in the English language. SBI PO Mains Descriptive test consists of Letter Writing & Essay. A huge number of candidates will apply for SBI PO Recruitment 2017 Notification and appear for the state Bank of India PO Exam. But, only the candidates who have performed well in the exam are selected for the posts of Probationary Officers (PO). The difference arises when it comes to the SBI Preparation guide. Before going to prepare for any competitive exams, you must be aware of syllabus, exam pattern, important books, preparation tips, etc. Here we have provided the major State Bank of India PO Preparation tips. So, we advise the candidates to follow the following State Bank of India PO Preparation 2017 to crack the SBI Exam. Plan a schedule according to the SBI PO Exam Pattern & Syllabus. Cover the entire State of India PO Syllabus. Give equal attention to all the sections. Maintain notes for SBI Preparation to note the important points. Solve the SBI Probationary Officer Previous Papers & Mock Tests. Take one mock test every day. Divide your time as follows. How to prepare SBI PO in 50 Days? Topics: Banking, finance, Geopolitics, Economy. Candidates have to download SBI Probationary Officer Admit Card 2017 by entering the registration number and password. No hard copy was sent to the candidates through post. After the completion of downloading the admit card, candidates have to keep it in the safe place. Without SBI PO Hall ticket, the officials do not allow the candidates into the examination hall. For that, candidates have to enter the registration number and password through online. The SBI PO Exam 2017 is conducted through online in various centers in India. After the successful completion of SBI Recruitment 2017 Apply Online, there is no possibility to change the sbi po exam centers. 13 Arunachal Pradesh Naharlagun. Itanagar. 14 Assam Dibrugarh, Guwahati, Jorhat, Kokrajhar, Silchar, Tezpur. Guwahati. 15 Bihar Arrah, Aurangabad, Bihar Sharif, Bhagalpur, Dharbanga, Gaya, Hajipur, Muzzafarpur, Patna, Purnea, Samastipur, Siwan. Arrah, Hajipur, Patna. 17 Chattisgarh Bhilai, Bilaspur, Raipur. Raipur. 18 Goa Panaji, Verna. Panaji. 19 Gujarat Ahmadabad, Himayatnagar, Gandhinagar, Jamnagar, Mehsana, Rajkot, surat, Vadodara. Ahmedabad, Gandhinagar. 20 Haryana Ambala, Bahadurgarh, Hissar, Karnal, Kurukshetra, Panipat, Palwal, Sonipat, Yamunanagar. Bahadurgarh, Hissar. 21 Himachal Pradesh Baddi, Bilaspur, Dharmashalal, Hamirpur, Kangra, Kullu, Mandi, Shimla, Sirmaur, Solan, Una. Shimla, solan. 22 Jammu & Kashmir Jammu, Kathua, Sambha, Srinagar Jammu, Srinagar. 23 Jharkhand Bokaro, Dhanbad, Hazaribhag, Jamshedpur, Ranchi Jamshedpur, Ranchi. 24 Karnataka Belgaum, Bengaluru, Bidar, Gulbarga, Hubli, Manglore, Mysore, Shimoga, Udipi Bengaluru. 25 Kerala Alappuzzha, Kannur, kochi, Kollam, Kottayam, Kozhikode, Malappuram, Palakad, Trichur, Tiruvananthapuram. Kochi, Tiruvananthapuram. 27 Madhya Pradesh Bhopal, Gwalior, Indore, Jabalpur, Satna, Sagar, Ujjain. Bhopal, Indore. 28 Maharashtra Amaravati, Aurangabad, Chandrapur, Dhule, Jalgaon, Kolhapur, Latur, Mumbai/Thane/Navi Mumbai, Nagpur, Nanded, Nasik, Pune, Ratnagiri, Sangli, Satara Aurangabad, Nagpur, Pune, Mumbai/Thane/Navi Mumbai. 30 Meghalaya Ri-Bhoi, Shillong Shillong. 34 Odisha Angol, Balasore, Bargarh, Baripada, Berhampur (Ganjam), Bhubaneswar, Cuttak, Dhenkanal, Jharuguda, Rourkela, Sambalpur. Bhubaneswar. Candidates have to check the SBI PO Result 2017 through online sbi. Aspirants need to enter the registration number & password through sbi online. After checking the SBI Result PO 2017, take the print out of the application form for future use. The SBI bank will release the results seperately for prelims, mains exam seperately. The SBI PO final marks are decided based on the performance in Mains (objective & descriptive) together with interview & group discussion. Candidates who will qualify in the SBI PO Prelims Exam are only eligible to appear in sbi po Mains Exam. Therefore, the aggregate marks of the candidates qualifying both objective & descriptive test are arranged in a descending order in each category. The aspirants shortlisted by the Bank officials in the SBI PO Mains Exam 2017 are called for the group exercises & interview. Then, the qualifying marks in the Group exercises & interview is as decided by the officials. The SBI PO Preliminary Exam (Phase-I) score is not valued for State Bank of India Recruitment 2017. So,. the marks gained in State Bank of India PO Mains Exam both objective & descriptive type are added to the marks obtained in GE & Interview to prepare the final merit list. Therefore, the information provided on this page regarding SBI PO 2017 Exam is for the reference purpose of the candidates only. We also update here soon after the official announcement. Also, refer the official site for any further details of State Bank of India PO 2017 Exam. i want to know best book for crack bank po ..